3D design and logos have seen an increase in usage and demand in the past few years. The use of advanced software techniques in design and graphics has made it easier for designers to bring out attractive 3D, 4D and 5D kind of designs. A 3D designer is someone who has the skills to create graphics, logo, and designs of different varieties as per need with the ability and knowledge to mould and present the same in two dimensional and three dimensional planes. Since 3D effects bring forward a real world feeling, firms want designers to be efficient in 3D design making. Hire a 3D designer for the designing and logo purpose, is the first thought that strikes the mind of an employer when he/she is faced with graphics design needs. Though the option for 2D design is available at their dispense, the idea of hiring someone who can deliver more than their need is always good. Hence, hiring a 3D designer seems a perfect idea. To bring them on board a recruitment agency aids and advices firms to recruit the best talents for their need. They take off the hiring burden from the shoulders of the employer. Alliance recruitment agency has been performing the role of a premium recruiter firm for its wide client base. The experience and ability to serve the staffing needs of best of the firms in their respective domain,make us a world leader in recruitment. We at Alliance have dealt with firms operating in different sectors of the economy. We offer you expertise, service quality, dedication and commitment as your strategic recruitment partner. Global network and quality manpower solutions have helped us in building a reputation in the market. 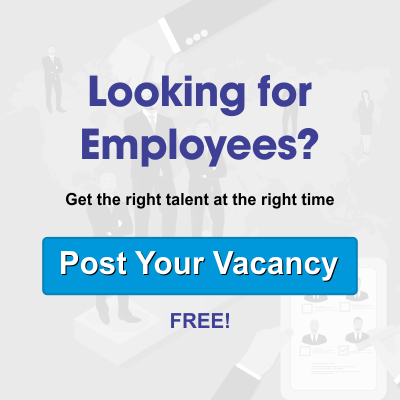 Logo and 3D designers looking for job opportunities and employers looking for graphic designers, can connect with us on our official website https://www.alliancerecruitmentagency.com.